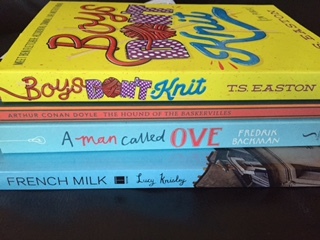 I hadn’t actually planned on joining up to do Bout of Books 14.0 but, as usual, I saw everybody getting started with the hashtag #boutofbooks on Twitter and decided to join in! It was my birthday yesterday and I’m really excited about the books that I got from Ellie, Katie and Laura so I’m using their lovely and thoughtful gifts as my pile for the week (which I’ll include a picture of when I can wrestle the laptop back from Boyfriend/work out how to format one on the tablet…)! 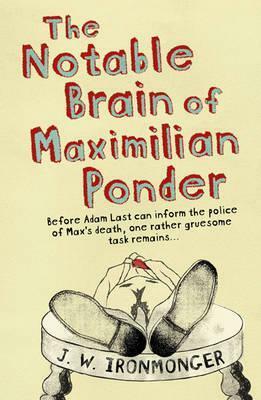 First up, though, I’ll be finishing off The Notable Brain of Maximilian Ponder by J. W. Ironmonger, which I’m about halfway through and really enjoying. I’m going to keep the goals to strictly reading because I’m not sure how much time I’ll have. 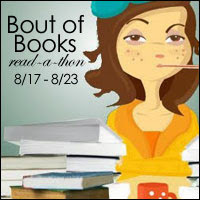 Ideally, I’ll do a couple of challenges and plenty of blog hopping but we’ll see. I’ll be updating this post until I feel like it’s got long enough and on Twitter as @litaddictedbrit – let’s do this! Thoughts from Monday: The page count might not be high but I’m planning on getting some more reading done after I’ve posted this. Max Ponder is remarkably chipper for a book about a man decapitating his dead best friend and there’s something so irresistibly charming about the narrator’s memories of Max. And the writing is fabulous. A good way to start a read-a-thon! Thoughts from Tuesday: I’m posting a bit earlier today so that I can slink off and get curled up with my book! I’m flying through my audiobook so at least some progress is steady! The Lost Library is a kind of Da Vinci Code-esque, professor-turns-investigator thriller focused on the history of the lost library of Alexandria. Occasional info dump aside, it’s fun and the quality of the narration is excellent. The narrator manages to flick between American, British and other accents seamlessly and to nail a number of British dialects, which makes the whole book seem so much more…alive! It’s one I’m definitely glad I’ve listened to rather than read! Now. Off to read some more Maximilian Ponder 🙂 Hope you’ve all had a super day 2! Thoughts from Wednesday: Wow. I am not at all reading quickly! To be fair, I’m writing this on Thursday morning because I spent Wednesday evening catching up on Great British Menu and watching Great British Bake Off so it’s not a surprise, as such, but it’s still not great…onward and upward!